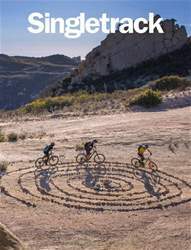 Digital Subscriptions > Singletrack > 120 > WHEN DID IT ALL GET SO GOOD? I took a trip back in time recently, revisiting a place I used to ride when I was just starting out. Back then the mountain bike world was a rich, but obscure landscape. I’d not ridden in many places and I didn’t have many riding friends – or even miles in my legs. It was all new and every bike ride was a challenge and a treat. I’d learn new trails and techniques with every outing, as I started to fill in the gaps in my personal local trail knowledge. And it was great. Still is, in fact.